Limes, like lemons, seem to have an endless usefulness. Limes are used in culinary dishes, staples of the men's fragrance industry, and often found in powerful cleaners. Citrus fruits are also known for their ability to boost immune function and are some of the most recognizable fruits in the world. Limes feature a distinctive fragrance that is sharp and refreshing and they are stunning to look at. Lime essential oil doesn't get as much glory as it should. This oil often plays second fiddle to lemons, but boasts properties that make it worth a second look. Lime oil offers cleansing properties that can help keep your home healthy and skin health benefits that keep you looking your best. Check out how you can incorporate this citrus oil into your daily regimen. Lime oil is extracted from the peel of the lime plant known by the botanical name Citrus aurantifolia. The oil is extracted by cold pressing fresh lime peels or through steam distillation of dried lime peels. The lime plant is native to Southeast Asia and was introduced to Europe by the Moors. British and Spanish ships used lime to stay healthy on long voyages as the high concentrations of vitamin C helped to treat scurvy. In modern times, lime oil is cultivated mainly in Italy, Africa, and the Americas. The lime plant is part of the Rutaceae family and can grow up to 13 feet tall. It features dark green leaves and the green oval fruits responsible for lime essential oil. There are two main types of lime tree used to produce the oil: Key Lime also known as Mexican Lime and Tahiti Lime, which is also called Persian lime. Lime oil is chock full of antioxidants and nutrients responsible for its health benefits. The main components of lime essential oil are beta pinene, camphene, and sabinene. Lime essential oil features a tangy, fresh aroma with a crisp finish. The bright, zesty citrus scent helps to elevate mood and is a known astringent in the skin care industry. The oil is typically a soft olive or pale yellow color and a high viscosity. Lime essential oil blends well with ylang ylang oil, clary sage oil, basil oil, lavender essential oil, and ginger oil. This tangy aroma also complements other citrus oils such as lemon oil, tangerine oil, and bergamot orange essential oil. Lime essential oil boasts antibacterial and antimicrobial properties that help to prevent bacterial infection. It may also help to prevent viral infections that cause the common cold and flu. Lime oil is particularly useful for protecting wounds involving rust or potential tetanus infections. One study published in 3 Biotech examined the effect of sabinene—a main chemical component of lime oil—in preventing infections. The sabinene was found to be an effective treatment of multidrug-resistant bacteria including salmonella. A second study published in the Journal of Essential Oil Research demonstrated that sabinene showed antibacterial activity against both gram-positive and gram-negative bacteria. The compound was effect in the complete elimination of Staphylococcus aureas and E. coli bacteria. Add 1 drop lime essential oil to a tablespoon of carrier oil such as grapefruit seed oil. Apply directly to wounds to prevent infection. Lime essential oil also contains chemical compounds that help to support immune health. These chemical compounds work to eliminate bacteria and viruses that can cause illness and symptoms such as coughing or sore throat. A study published in Poultry Science found that linalool—a major component of lime oil—is an effective insecticidal and antimicrobial compound. Linalool is also responsible for the slightly sweet fragrance of lime essential oil. This chemical compound was also shown to have antifungal properties that can boost immune health. A second study published in the Journal of Food and Drug Analysis found that l-linalool boats anti-inflammatory effects. Inflammation is one of the leading causes of illness in the human body. Inflammation causes damage to cell structures, which can then be invaded by harmful cells such as free radicals. This can induce oxidative stress—a process that consists of the breakdown of human cellular processes. Oxidative stress has been linked to a host of problems including premature aging and even cancer. By reducing inflammation, lime oil can help protect immune health and overall well-being. To reap the immune boosting properties of this oil, add a few drops to a nebulizing or ultrasonic diffuser. Diffuse once or twice per day. Focus on relaxing and breathing in the aroma deeply. You can also add this oil to daily yoga or meditation to enhance effects. 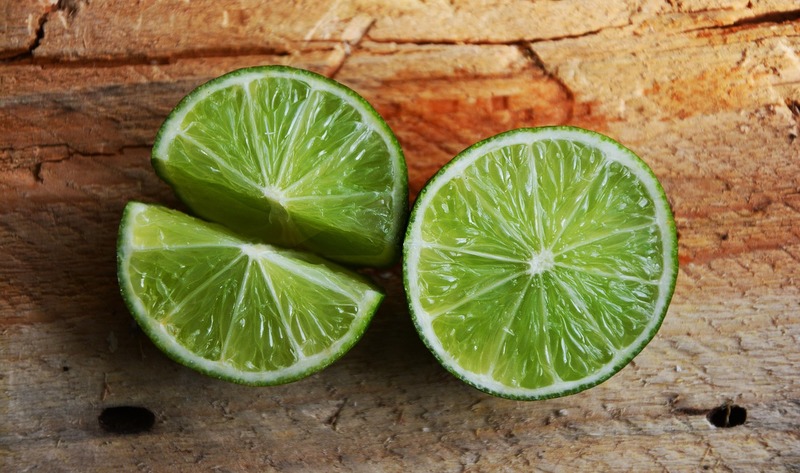 Sailors used lime essential oil to prevent scurvy. Scurvy is a disease caused by deficiency of vitamin C. Sailors spent months at sea, often without access to fresh fruits and vegetables. Their diets consisted largely of grains and dried foods that were low in vitamins and minerals. As a result, many sailors experienced scurvy—a disease that caused anemia, limb pain, swelling, ulcers in gums, and tooth loss. 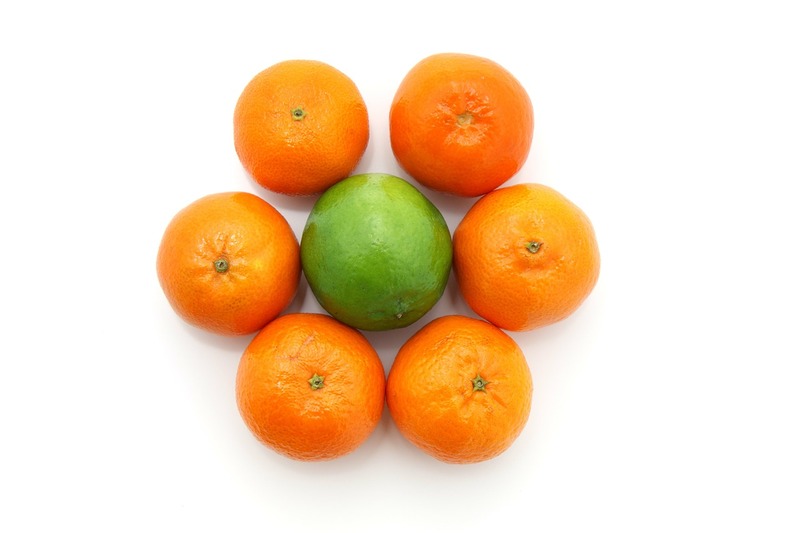 Lime essential oil contains high concentrations of vitamin C that can protect oral health. A Brazilian study published in 2018 examined the effects of lime oil on oral pathogens that cause tooth decay. There are more than 700 bacterium responsible for tooth decay, but researchers focused on the most prominent know as Staphylococcus and Lactobacillus. The results showed that lime essential oil had moderate bacteria fighting effects when it came to tooth decay. Use a lime oil rinse to protect oral health. Mix two drops lime oil with a tablespoon of carrier oil such as coconut oil. Swish in your mouth for 30 seconds before spitting and rinsing. Make sure not to swallow the essential oils. Lime essential oil helps to disinfect surfaces and clean your home. It's refreshing fragrance boasts added cleansing properties by freshening air and making your home smell amazing. The antimicrobial and antibacterial properties work to disinfect surfaces and the oil may be effective in removing grease stains. A study published in the Pharma Innovation Journal found that lime oil has many uses as a disinfectant in homes. Researchers found that lime oil can be combined with vinegar to clean copper cookware and to polish brass, copper, and aluminum. It also effectively bleaches clothing, removes ink, and mineral stains from clothing when mixed with peroxide. Lime oil can be used just like lemon oil to cleanse surfaces in your home. Make a homemade floor cleaner by adding 20 drops lime oil to a large mop bucket filled with warm water. Mop as normal and enjoy the fresh fragrance and clean flooring. The lime oil also works to restore wood surfaces, making wood floors gleam and shine. Make an all purpose household cleaner by adding 20 drops lime essential oil and 20 drops lemon essential oil to a large spray bottle. Fill to the top with distilled water. Spray down surfaces and let the oil sit for 5 minutes before wiping clean with a damp towel. Remove grease spots on clothing with lime essential oil. Simply add 3 drops to a cotton pad or cotton ball. Gently dab the grease spot or let the cotton pad sit for 2 to 3 minutes. Remove and rinse well. Repeat as needed. There are few things more irritating than a stubborn sticker on new glassware or cookware. Lime oil can take these stickers and sticker residue off in a jiffy. Simple mix 2 drops lime essential oil with 2 drops coconut oil. Rub in firm, circular motions until the sticker is gone. Wipe clean with a damp cloth. Lime essential oil contains high levels of vitamin C and antioxidants that are good for skin. Antioxidants help prevent free radicals from wreaking havoc on skin. Free radicals target damaged cells and cause fine lines and wrinkles. Lime essential oil prevents these free radicals from damaging skin and offers a smoother, clearer complexion. Lime essential oil is a natural astringent, helping to remove oil and dirt that can clog pores and cause acne. The astringent nature of this oil also helps to tighten pores, reducing their appearance. Add 2 drops of lime essential oil to your existing face wash to cleanse and purify skin. The oil will help protect against free radicals and tighten skin for a firmer, smoother appearance. Alternatively, use lime essential oil in place of your daily toner. Add 2 drops to a cotton ball or cotton pad along with 2 drops of carrier oil such as avocado oil. Wipe your face clean in the morning and evening to prevent breakouts. Obesity is one of the leading factors of premature death in America. Obesity has been linked to increased risk of cardiovascular disease and diabetes. One of the best ways to lower the risks associated with obesity is to manage weight. Lime oil may help prevent weight gain and maintain a healthy weight when combined with a healthy diet and regular exercise. 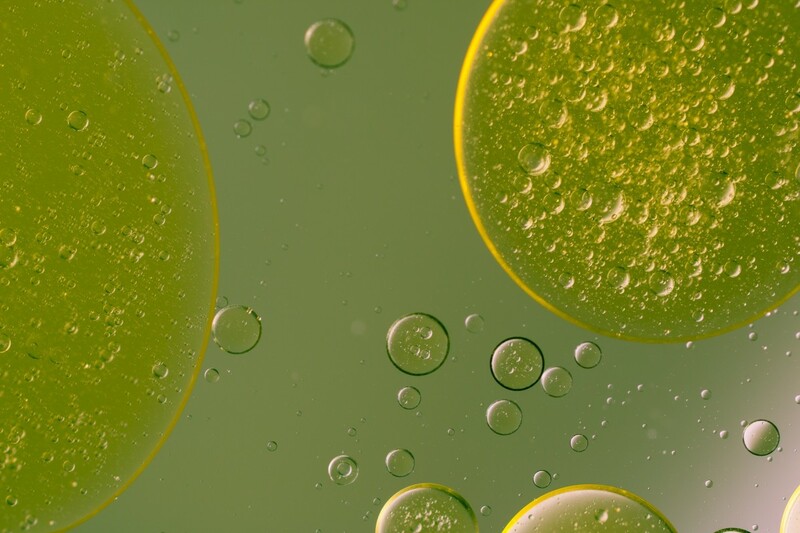 A study published in Phytotherapy Research examined the effect of lime oil on obesity in mice. Researchers analyzed lime oil by itself and in conjunction with ketotifen—an antihistaminic drug that has been correlated with increased weight gain. Over a period of 45 days, mice were given ketotifen and lime oil or just one of each of the substances. The mice that received only ketotifen demonstrated significant increases in body weight as well as food intake. Mice that received lime essential oil showed a decrease in body weight likely due to a decrease in appetite. Mice that received a combination of the two compounds showed a decrease in body weight and demonstrated improved weight loss. Researchers concluded that lime essential oil works to decrease weight most probably through suppression of appetite. More research is needed to determine the efficacy of lime oil of weight gain in humans. For now, combining lime essential oil with a healthy diet and exercise may help increase results. Add 2 drops of lime essential oil to a diffuser before meal times to reduce appetite. You can also diffuse the oil when you experience strong cravings. Lime essential oil can cause skin irritation in sensitive individuals. Conduct a spot test on a small portion of your skin before applying in larger amounts. Wait 12 to 24 hours to ensure your skin does not react negatively to this oil. Always apply lime essential oil topically in conjunction with carrier oil such as coconut oil or olive oil. Be careful when using lime oil directly on cuts or abrasions as it may cause stinging and pain. Avoid using lime oil on sensitive mucous membranes including your nose, eyes, and mouth. Lime oil, like most citrus oils is photosensitive, meaning it can cause skin irritation when exposed to UV rays. Chemical compounds in lime oil speed up the burning process and sun exposure can cause sun blisters or severe sunburn. Wait at least 12 to 24 hours after using lime oil before subjecting skin to direct sun exposure. The stronger the UV rays, the longer you should wait. The Food and Drug Administration (FDA) has certified the Citrus aurantifolia Swingle variety of lime oil as generally safe for consumption. Essential oils should only be consumed orally under the care and supervision of a licensed aromatherapist or healthcare provider. Essential oils are highly concentrated forms of the plants they are extracted from. A little goes a long way and only tiny amounts should be taken orally to prevent negative side effects. There are no known side effects specifically associated with lime essential oil and pregnancy. Always consult your physician before using essential oils if you are pregnant or nursing. Essential oils can be passed to infants through breast milk and may cause harmful side effects. Young children have sensitive immune systems that react more readily to essential oils. Keep out of reach of children and speak with your doctor before using on older kids.